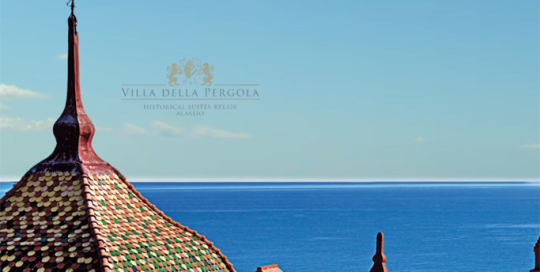 Formed by three elegant buildings, the Villa, the Villino and Casa del Sole, Villa della Pergola is harmoniously set on the slopes of Alassio Hill, Liguria (Italy). The complex is set within luxuriant garden that blends Mediterranean vegetation with various types of rare plants and striking exotic flora. It boasts a unique history closely linked to that of the British community that chose this corner of the italian Riviera as one of its favorite winter resort destination throughout the 19th Century.